Our Canada Fishing News page updates you with the latest fly-in fishing news from guests as well as up to date information from Canada Outfitters. I guess I’ve been putting posts into the recent posts page and haven’t kept this page up to date. We are taking bookings for the 2018 season. We’ll have to wait and see if the ice goes early as we’ve had a very long and cold winter this past year. That doesn’t necessarily make the ice stay longer or whether or not we’ll have lots of runoff in spring. June dates have filled up for the most part but we do have a few dates left. 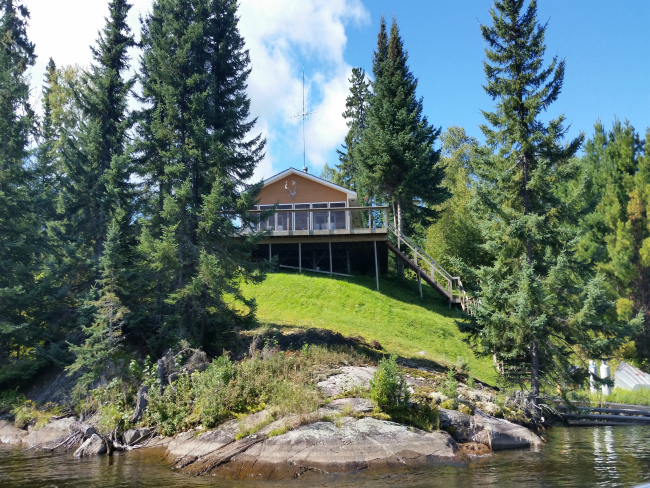 We are almost finished the 2017 fishing season and have begun to close down a couple of our outpost cabins. There are still a few die hard fishing guests trying their luck at Brown Bear, Treelined and Unexpected for those late season walleyes and big bass. Bass have mostly been found in the large chunk boulders just close to a weed bed. Most of the walleyes being caught have been deeper in 12 to 14 feet of water. We have started booking for the 2018 season so if you know of a specific date you want you might want to contact us soon so you get what you want. We’d like to thank all of our guests that fished with us this year. We really appreciated you spending your valuable vacation time with us. We look forward to seeing you next season. We hope to have a few new upgrades done for 2018. We are taking bookings for the 2015 fishing season. If you are planning a trip with us, please call soon for dates as they are booking up. This past week has produced some great walleye fishing photos for some of our guests. The fish have been really scattered around in depths from 5 to 20 plus feet of water. All sizes have been caught in this depth ange. The days are getting a lot shorter and leaves on trees are starting to change colors. A couple of the lakes, the water levels have dropped. Unexpected lake has dropped a lot in the past two weeks. It was high all summer long. 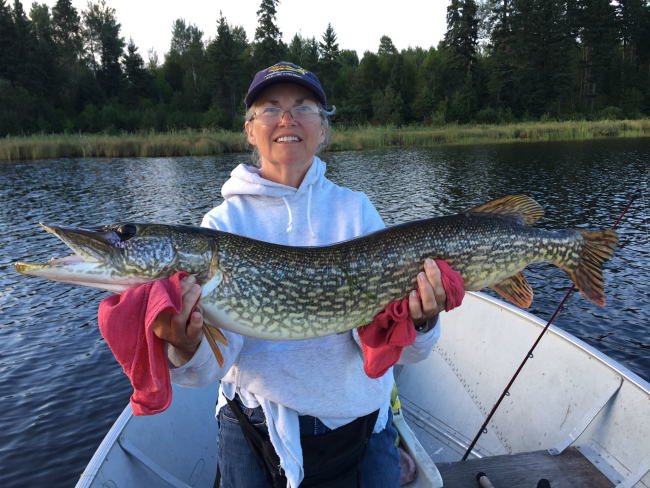 The northern pike fishing has been pretty steady all year long. With the days getting shorter the pike seem even more determined to bulk up for the long winter. There have been lots of follow ups to the boats and the past week the northern pike have been hitting crank baits and other lures very aggressively. The walleye fishing has been awesome this August. The start of the month the fish were all in about 5 to 12 feet of water mostly along the weed edges and as the month progressed we found them to be moving a little deeper and off the rocky points or where there was a bit of current. We have a date available in Treelined lake from July 7th to 12th. If interested please call or email us. We had a date from July 10th to 15th in Unexpected Lake Outpost. Minimum of four people. Please call or email if interested. We have begun to take reservations for fishing dates for 2014. If you are planning a trip with us and have specific dates in mind you should contact us soon so you don’t miss out. July started out pretty hot and muggy but that didn’t deter the fish. All lakes reported that fishing was pretty consistent. 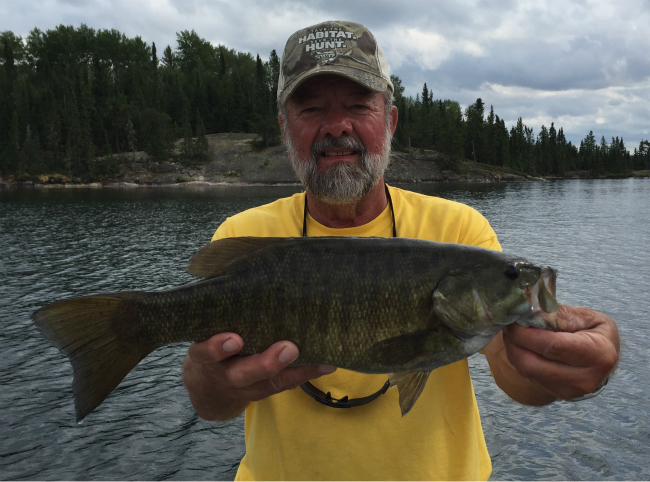 We did have some great smallmouth bass and pike caught & released on Brown Bear Lake and the portage lakes. Trout in Beauty were biting on tube jigs and some other deep diving crank baits. Norse lake was very consistent in numbers of walleyes and bass. The portage lake was a little slower than normal. Lots of rain kept the lakes at high to normal levels. Wildlife seen were a couple of brown colour phased black bears, moose with calf, lots of loons, beavers and bald eagles. One group of guests heard wolves in the evening. Norse Lake‘s walleye are on fire. Fellows that came out were reporting they were shallow in about 4 to 8 feet and the deepest at 12 feet. Minnows have been working awesome on all lakes. Biggest fish from Norse has been a 40″ pike from Little Norse lake. Bass are not on beds yet which probably means the water has not warmed up as much as thought. Brown Bear Lake has had some great catches of walleye on the main lake. Lake trout have be on fire as well on Beauty Lake. Lake level is slowly evening out to a bit above normal. Walleye’s on Robin have been pretty agresive as well and catching a limit doesn’t take long. Bass have been a little slow and haven’t seen any on beds yet. Treelined Lake‘s pike we expect to be pretty agressive. We’ve just had people go in so haven’t got a report as to the fishing on the lake yet. Will keep you posted. Populus Lake guests have been having a blast. The fish have been very active on the lake, especially the walleye. They’ve had some really nice shore lunches. Lake trout have kept them busy and they’ve been some nice 3 to 4 lb. trout caught and released. They have been fairly shallow as well. Minnows have been working great on Populus lake. Gordie Lake we haven’t got a report on fishing yet but hope to tomorrow. We expect these pike to be in the shallows just like the rest of the lakes. They’ve brought artificial lures on Gordie Lake. Unexpected Lake has been really good with the fellows catching lots of fish, mostly walleyes. Lake level is up but walleyes and pike have been up in the shallows 4 to 6′ of water. Not a lot of Bass activity probably due to colder temperatures. Live bait, mostly minnows have been working very well at all camps, except Gordie and they have been using artificial. May 16/2013 – I have a July Brown Bear date available from the 20th to 27th, 7 day trip. Norse Lake is available June 23rd to 27th. Treelined is available June 26th to July 1st. 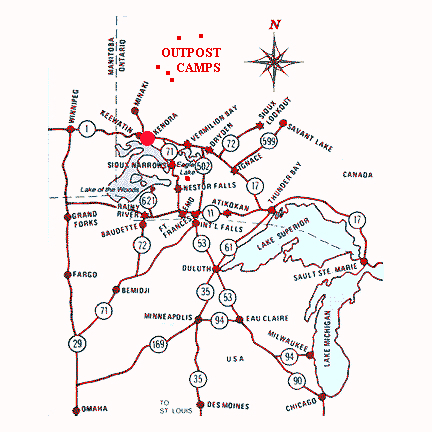 Populus lake outpost is available June 22nd to 29th or a 6 day trip from June 16th to 22nd. Please call or email if interested. May 16/2013 – Ice finally went off and we have airplanes back in the water. Greg has been busy the last couple of days getting Brown Bear lake ready for the weekend. He was working on getting motors into the portage lakes, and then its off to Norse lake outpost and its portage motor. March 17/2013 – Its still going to -20’s at night so don’t think we’ll have ice off anytime soon. I do have a couple of June dates still available in Brown Bear lake and they are June 15th to 19th and June 19th to 23rd. Please give us a call or email if interested. SOLD! May 20/2012 – Have one opening for a fly-in black bear hunt August 20th to August 27th for group size of two to three hunters. Fishermen can go as well. If interested please give us a call or email. May 19/2012 – Season starts out rainy! Although we need lots of rain to bring lake levels up, It would have been nice if it held off a couple of days as it caused flight delays with 1st guests. Today has turned out nice but a little cooler than last week. 2012 Fishing Season – We are now taking bookings for the 2012 fishing season. If you have specific dates you’d like, please contact us soon, as dates are filling fast. 2011 Fishing Season – The 2011 fly-in fishing season is long since over and we had some great fish caught and released. We’ve heard lots of great stories from our fishermen and had some great memories made by our guests. Please check our fishing pictures for some of the fish that were caught and if you have stories or pictures that you would like to have put on our page please contact us and we’ll get them on our websites as soon as we can.Thank you for the great season and we hope to see you again!